Opening up and economic reform may have brought unintended consequences. In recent weeks, China has been celebrating the 40th anniversary of the official beginning of its opening up to the outside world, and the initiation of the economic reforms that have created the Chinese economic “miracle.” The resulting changes in economic opportunities and standards of living speak for themselves. Less often acknowledged are the sea changes in social behavior, norms, attitudes, expression, and interests that have occurred as well. 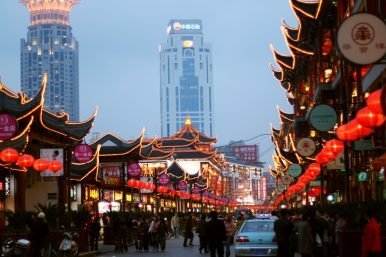 China was in a state of deep trauma from the aftermath of the Cultural Revolution when economic reforms and opening up to the outside world began in 1978. That societal shock, combined with deep and debilitating poverty, may actually have helped Chinese to willingly embrace any avenue that would improve their lives. Although people still called one another tongzhi — “comrade” — well past the first 15 years of opening up, there was very little evidence that they meant it. Society was deeply distrustful and suspicious of itself, and had every reason to be. Friends and family had turned in and denounced one another. Grown children had let parents starve to death in jail. Neighbors became spies and enemies. There was no one left to count on. The coarseness in civil behavior that these experiences created in Chinese society has dissipated dramatically over the last three decades, to the extent that many who have witnessed the changes are surprised by some of the simple considerations now to be seen in everyday life in China. This general improvement in humane interpersonal behavior has been accompanied by a surge in the desire of ordinary people to open themselves up to new experiences. Although the exceptions to good public behavior are more widely publicized, such as fights on airplanes and rude tourists at destinations around the world, those phenomena overlook the underlying point: People from all over China are on those airplanes, and Chinese by the tens of millions are in those international locations in the first place. It must be remembered that a major plank of the criticism levied at the Chinese government on its human rights record was its previous restriction on the ability of an ordinary Chinese citizen to get a passport. Most Chinese were locked inside their country, and only a trusted and favored few were allowed out. Since the early 2000s, the explosion in the issuance of Chinese passports (albeit with notable discrimination against some minorities) underscores another new social phenomenon: Chinese are curious about the rest of the world. They are going everywhere to see for themselves how others live and have lived. As a result, they are forming opinions about the relative success of other political and social systems, both for and against what the Chinese Communist Party (CCP) tells them they should think. When reforms began, and even up until the mid-1990s, China had been so isolated, and so much a victim of its own propaganda (much like North Korea today) that it had developed a skewed, at times paranoid, perspective of the rest of the world. A woman walking down a sidewalk in Beijing in 1987 with a crying toddler in tow was overheard saying, “Don’t cry, or that foreigner will eat you.” Aside, of course, from making the child cry even more vigorously, the statement highlighted the power of the CCP’s propaganda at the time. Presumably, that misconception has now gone by the wayside. Many of those who once believed that Americans eat babies today have children studying in U.S. and other foreign universities. Long-considered a barometer, and a function, of a society’s success and maturity, Chinese have developed a higher awareness and appreciation for the nurture and care of animals. Wildlife protection has improved, although it still lags. People have pets, a concept unheard of 30 years ago. Abuses in zoos abound but the point is that the issue is being discussed, and is reported not just in Hong Kong, but in mainland Chinese media, as well. There is a growing consideration within society, especially among the young, for the welfare of animals. Chinese media refer to “animal rights activists”; such an idea would have been taboo in previous decades, as it would have been a challenge to the CCP’s authority. Chinese society is open to new forms of relationships. Older and elderly people meet online, date, and often live together without getting married. The LGBTQ community exists somewhat in the open, a radical change from the 1980s when any whiff of homosexuality meant a knock on the door and almost certain arrest and disappearance. Although the statistics are still deplorable, driving and road safety has improved. Driving has only been a possibility for the general public since the 1990s. Since most people didn’t own cars (nor were they originally allowed to), little concept of the hazards of the road existed. The generation that came of age during the early years of reform in the 1980s and 1990s was the first generation of drivers in China. Their children, now driving, are better drivers, in general. The hopes of Western countries to see China embrace democracy as a natural extension of economic development have not panned out on a political level. What has happened instead is that ordinary Chinese have embraced personal democracy: the right to choose one’s own path, to explore the roads that others have trod, and to find expression in private, if not public ways. For all that China has yet to improve, the societal changes that are occurring in the country are a foundation for its next chapter. Opening up to the outside world has brought unintended and often unforeseen consequences to Chinese society, which neither its leadership nor the rest of the world should take lightly.